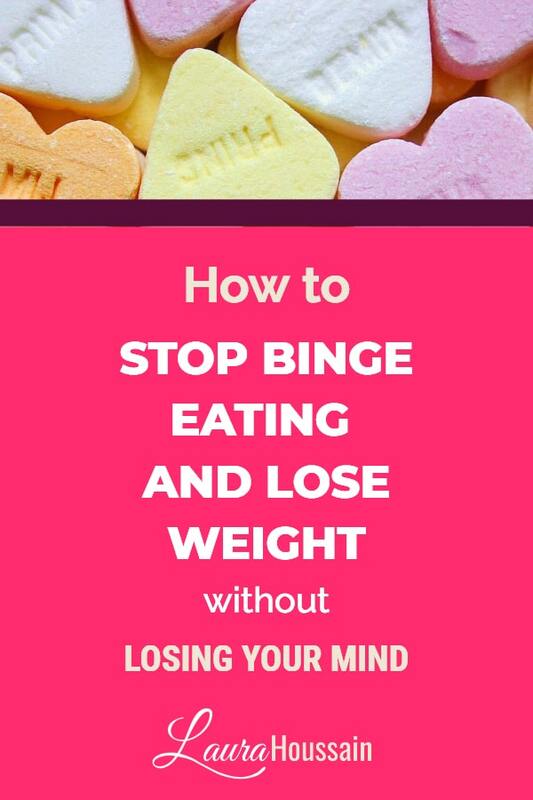 Do you want to stop binge eating and lose weight? Does it seem like that the harder you try to diet, the more you binge, obsess about food, and, you have no energy left for anything else? If so, you want to watch the video below because it will help you understand exactly why you haven’t been able to succeed so far and how you can finally make peace with food AND be at a weight you love. WARNING: This is not for you if you want to lose weight to look underweight or emaciated. I’m all about finding balance and not doing any harm to your body or your health. Trigger warning: there are photos of food included in this video. They only appear for a few seconds. If you think they may trigger a binge at this stage, you can listen to the audio. But don’t watch! Whether you’ve been trying to lose these last 20 pounds for months or you are trying to lose 6 sizes, this video is going to save you a ton of time and energy. I have spoken to countless women over the last 8 years. And, some had been trapped in the “win-lose” cycle and its accompanying symptoms for over 20 years. Don’t let this happen to you! One single mistake could keep you stuck in exhausting food fights, nerve-racking binges and result in weight gain. So, watch the video now. I have decided not to summarize it this time on purpose because I want you to take the time to reflect on this and make the right decision for yourself. And let me know what you think in the comments. Soon, you’ll be on your way to stop binge eating and lose weight without losing your mind or draining yourself out. 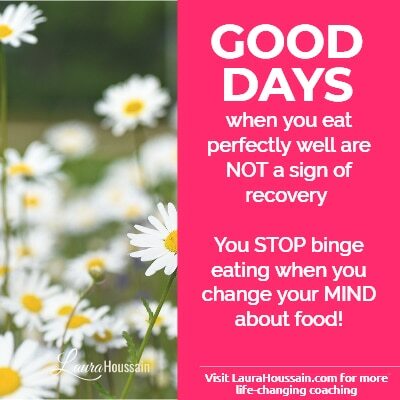 When you’re done, join my video series that will reveal to you the real causes of binge eating they don’t want you to know. Click here and enter your email to join.